Harems harems harems everywhere. Need your fix of highschool romance anime? You can find tons of them scattered around, and more often than not we see different types of anime that focus on these themes. We get the typical harem ending where the guy never chooses any of the girls and the entire anime ends in a still. Then we have the types where our hero actually chooses a girl and LOVES her back. Honestly I prefer the later, a little bit of real romance here and there is pretty nice to watch sometimes. The real romance types tend to be a bit more serious, but "Oreshura" manages to be funny as well (with a little help from Jojo). 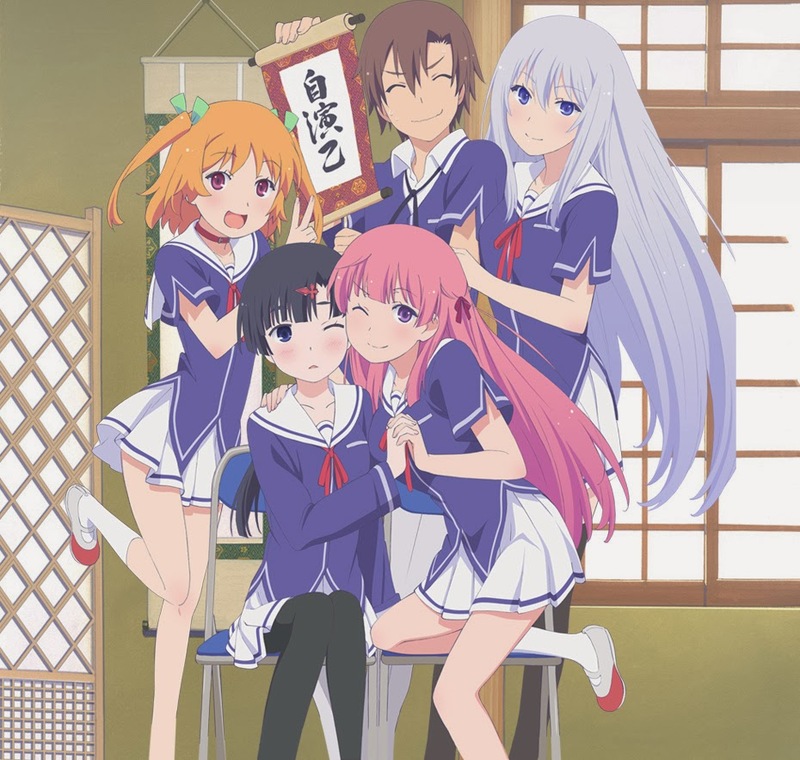 And yes, "Oreshura" is another one of those harem animes, with a nice touch of romance in there. 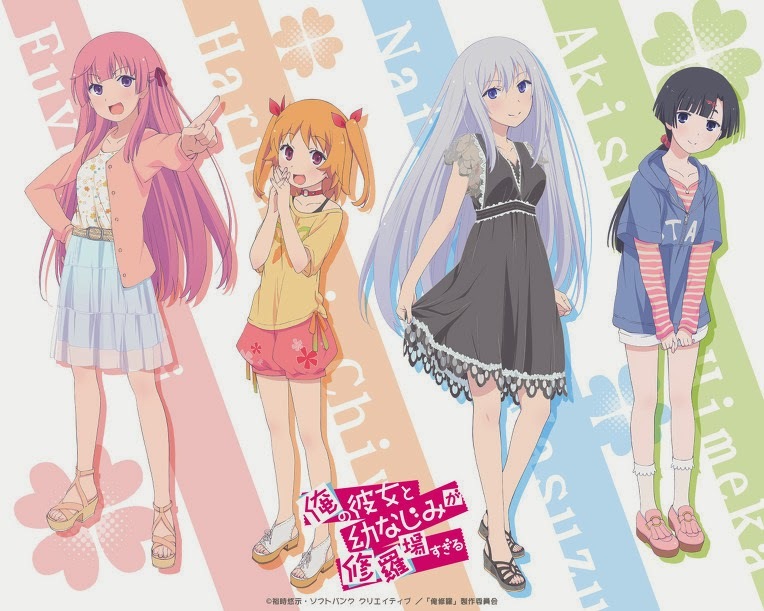 Despite its cutesy animation style, there's quite a lot more to "Oreshura" than it meets the eye. I didn't expect to find anything I'd really like for the songs in "Oreshura" (considering its one of THOSE animes). The opening song "Girlish Lover" by all the seiyuus of the 4 main heroines, is one of those incredibly cutesy and catchy songs. Its enough to make a bop out of me once in awhile, but its not really to my tastes, it sounds a little more on the generic side. The ending song "Wonder Tale" by Yukari Tamura is another one of those slow, super high pitched, snooze inducing tunes. Not my kind of tune, but it feels right for an ending song. 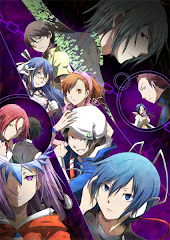 Honestly, its one of the best comedy/romance harem animes I've seen this year. 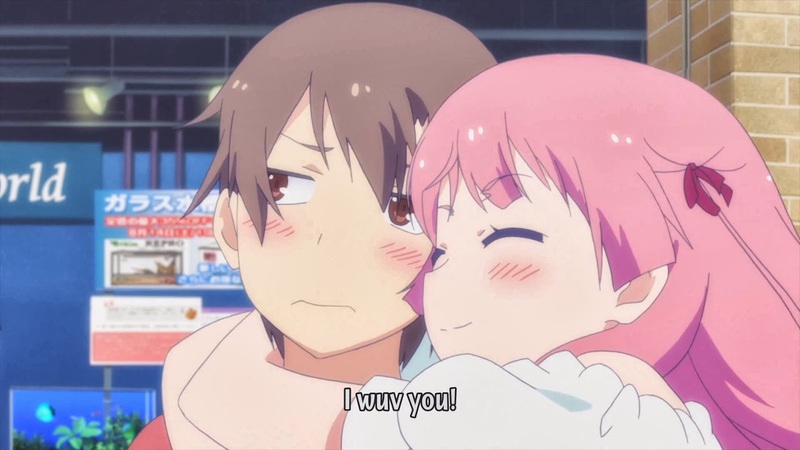 If you need your love fix, "Oreshura" has got you covered. 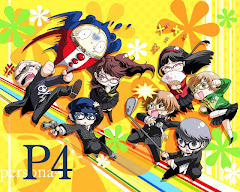 Despite its generally "cute" animation style (which would fit for a full comedy harem), it has a surprisingly good amount of emotion packed behind everything to make you feel the feels. While I do dislike the main character for being hardheadedly stupid for the majority of the anime (come on, most harem related main characters are stupid and dense beyond hell), the heroines have a lot of personality to them, especially the main character's childhood friend Chiwa. Packing heavy on the lovey dovey stuff is one thing, "Oreshura" does a great job on being funny as well (once again, with some help from Jojo). Its sure to easily crack more than a few chuckles from you, unless you are generally an un-funny person. The face of a lucky guy. Kido Eita is one of those very regular high school kids living a fairly normal life. He lives alone with his aunt in an apartment next to his childhood friend, Chiwa. Eita is aiming to become a doctor, so he has to focus on his studies like no other. Because of this, he has decided to shut off all interaction with potential love interests, as he believes love is nothing but an unwanted hindrance. Life goes on as per usual, until a very beautiful young woman by the name of Masuzu transfers back to school. She sits next to Eita, but due to Eita's personality, she gives her zero cares, while every other guy in school is jealous of him. Masuzu, seeing that Eita is different from other guys in that he doesn't want anything to do with love, approaches him, and uses him as a fake boyfriend to drive off the guys around her. How Eita, no matter how much he doesn't like it, is forced to play boyfriend. What starts off as a seemingly harmless and mischievous act soon snowballs into a 5 way love battlefield, and things get really tricky for Eita. "Oreshura" is cool like that. While it has a very regular harem like exterior, things get sticky eventually, and it becomes an emotional storm as the episodes proceed. 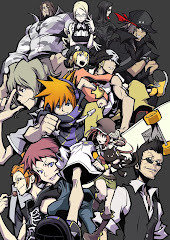 It may not be one of the best romance animes, but its pretty high up there IMO.